Appliance Repair Pricing Warranty Contact Us! FREE SERVICE CALL w/repair (615)763-3334 ALL WORK GUARANTEED LOWEST PRICES ALWAYS We at Nashville Refrigerator Repair pride ourselves in delivering the very best professional REFRIGERATOR repairs to the Nashville Tennessee area. With over 25 years of experience in the refrigerator repair industry we know how to get the job done. Our technicians are required to stay up to date on the latest advances in trouble shooting technology for refrigerators. No matter the brand of your appliance that is in need of repair or servicing, Nashville Refrigerator Repair and service co. of Nashville Tennessee. is the right choice. Attempting to repair appliances without proper training and safety standards is dangerous. Appliances should only be repaired by skilled professionals who have the knowledge and experience to safely bring them out of disrepair. Repairs performed by unqualified people risk serious injury or even death. A relatively small outlet can easily carry 150 times the current needed to kill a person. Please call (615) 788-8474 or email disco56@live.com Our technicians are standing by and ready to relieve you from your appliance problems. Nashville Refrigerator Repair can fix most brands and models of washing machines including Admiral � Amana � Asko � Bosch � Crosley � Dacor � Electrolux � Estate � Fisher & Paykel � Frigidaire � GE � Gibson � Hotpoint � Jenn-Air � Kenmore � KitchenAid � LG � Magic Chef � Maytag � Roper � Sears � Speed Queen � Sub-Zero � Tappan � Thermador � Viking � Whirlpool � Wolf Kenmore, Whirlpool, General Electric, Amana, Maytag, Jenn-Air, Frigidaire, Kitchen Aide, and Magic Chef. We repair most washing machine problems including poor spinning, leaks, loud noises and cycle irregularities. Please call (615) 788-8474 for fast, reliable professional service.Our technicians are standing by and ready to relieve you from your washing machine problems. Nashville Refrigerator Repair can fix most brands and models of refrigerators including Admiral � Amana � Asko � Bosch � Crosley � Dacor � Electrolux � Estate � Fisher & Paykel � Frigidaire � GE � Gibson � Hotpoint � Jenn-Air � Kenmore � KitchenAid � LG � Magic Chef � Maytag � Roper � Sears � Speed Queen � Sub-Zero � Tappan � Thermador � Viking � Whirlpool � Wolf Kenmore, Whirlpool, General Electric, Amana, Maytag, Jenn-Air, Frigidaire, Kitchen Aide, and Magic Chef. We repair most refrigerator problems including poor cooling, leaks, loud noises and icemakers. Please call (615) 788-8474 for fast, reliable professional service.Our technicians are standing by and ready to relieve you from your refrigerator problems. We repair most brands and models electric or gas clothes dryers. Admiral � Amana � Asko � Bosch � Crosley � Dacor � Electrolux � Estate � Fisher & Paykel � Frigidaire � GE � Gibson � Hotpoint � Jenn-Air � Kenmore � KitchenAid � LG � Magic Chef � Maytag � Roper � Sears � Speed Queen � Sub-Zero � Tappan � Thermador � Viking � Whirlpool � Wolf We repair most clothes dryer problems including poor heating, cycle irregularities, loud noises and poor spinning. Please call (615) 788-8474. Our technicians are standing by and ready to relieve you from your electric or gas clothes dryers problems. 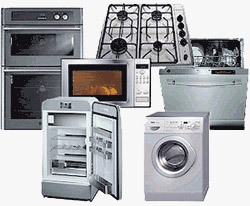 We repair most brands and models for gas and electric ovens. We repair Admiral � Amana � Asko � Bosch � Crosley � Dacor � Electrolux � Estate � Fisher & Paykel � Frigidaire � GE � Gibson � Hotpoint � Jenn-Air � Kenmore � KitchenAid � LG � Magic Chef � Maytag � Roper � Sears � Speed Queen � Sub-Zero � Tappan � Thermador � Viking � Whirlpool � Wolf most oven problems including poor temperature control, broken bake elements and control board malfunctions. Please call (615) 788-8474. Our technicians are standing by and ready to relieve you from your electric or gas oven problems. We repair most brands and models of dishwashers. Admiral � Amana � Asko � Bosch � Crosley � Dacor � Electrolux � Estate � Fisher & Paykel � Frigidaire � GE � Gibson � Hotpoint � Jenn-Air � Kenmore � KitchenAid � LG � Magic Chef � Maytag � Roper � Sears � Speed Queen � Sub-Zero � Tappan � Thermador � Viking � Whirlpool � Wolf We repair most dishwasher problems including poor cleaning,leaking and control board malfuctions. Please call (615) 788-8474, Our technicians are standing by and ready to relieve you from your dishwasher problems.